Everybody else can stop doing their funny little spontaneous dance videos. The Running Man Challenge has reached its final form. Fungal internet obsessions like the Harlem Shake and the Nae Nae crop up every so often, popping up on your Twitter feed with no damn context whatsoever and pulling you into a rabbit hole as you try to figure out WTF. The Running Man Challenge is a newer fad in this tradition, one that has folks breaking out into wacky choreography over The Ghost Town DJs’ 1995 track “My Boo”. 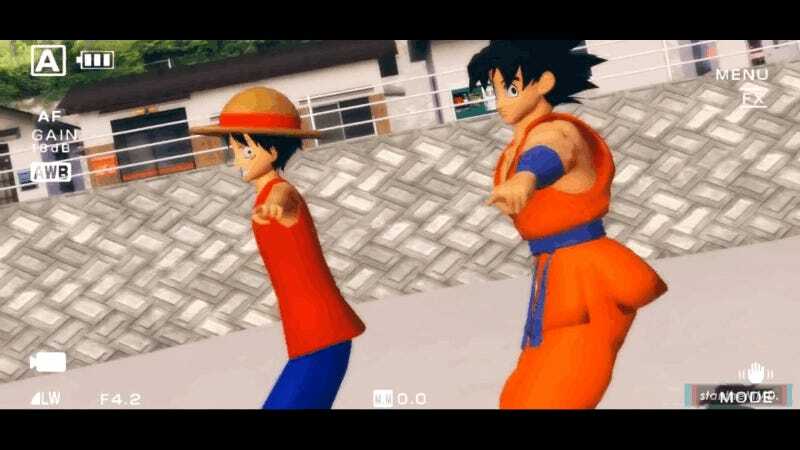 Animation creator StanTheMMd has bested all comers, though, with his team-up of two iconic anime characters. His first take went up on Instagram two weeks ago but he’s followed up with a longer version on YouTube. This kid is one to watch, y’all. I’m not lying.